Meeting with Kerstin Decker, author of the biography Lou Andreas-Salomé. Derbittersüsse Funke Ich [The Bittersweet Spark I]. 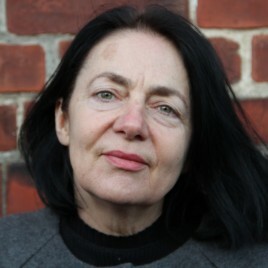 Kerstin Decker was born in 1962 in Leipzig, where she later studied journalism. She went on to the Humboldt University of Berlin to read philosophy. She works with “Der Tagesspiegel” and “Die Tageszeitung” dailies as a reporter, columnist and critic. As well as writing the biography of Lou Andreas-Salomé, she has penned books on Paula Modersohn-Becker, Else Lasker-Schüler, Richard Wagner and Heinrich Heine. The event is partnered with Goethe-Institut.